Teams & Spectators will be permitted into both North & South Gyms starting at 2pm. Please do not arrive before 2pm. Teams can check in at 2:30 PM behind the gym. Spectators will NOT be allowed on campus until 3:00 PM and must enter gym from the upper level (front main entrance), not the field level or back side of gym. All pools & times are subject to change. Coaches and players should check on-site pool sheets for final versions of pools. 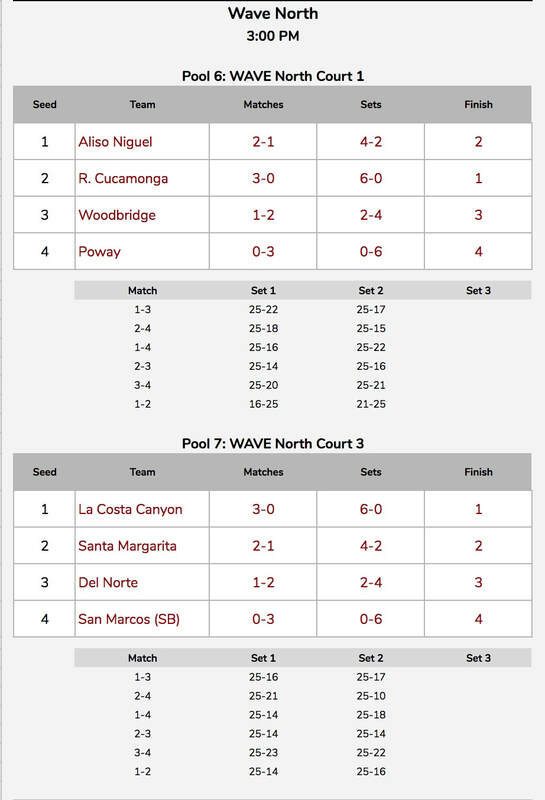 ALL Friday pool-play may start prior to the scheduled time and WILL start as soon as the court is open. For the 1st and 2nd place teams from Friday’s pools (plus two 3rd place teams), there will be a Championship Qualifying Play-in Round (i.e. Winner Pool 1 vs. 2nd Pool 2). The winner of each play-in match will be seeded in the Championship Division, while the losers will play in the Silver Division. 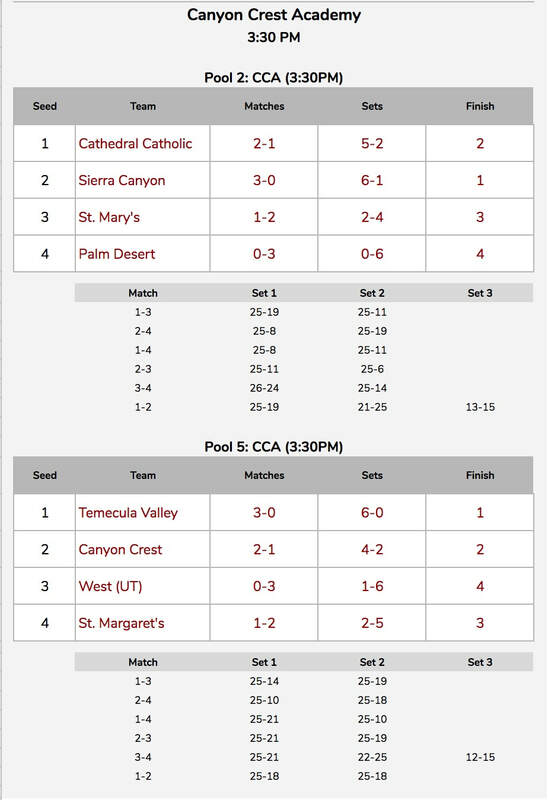 The Top Two 3rd place teams from Friday’s pools will be determined by Point Percentage. Two-way ties will be decided by head-to-head result. All referee team assignments for each pool match are listed on the pool schedule sheets next to “REF”. Please provide a 5-person crew for assistant referee duties – two (2) lines-persons, a score-keeper (book), a score-board operator (flip) and a libero-tracker. No down-ref is required.